One of the best ways to stick to a healthy diet is planning ahead and always making sure you have healthy foods around. However, I know that is not always possible. Things happen and maybe you run out of fresh fruit and or veggies and won’t have a chance to get to the grocery store for another day or two. That can be a recipe for disaster….and you might find yourself in the fast food drive through picking up some greasy burgers and fries more often then you would like. 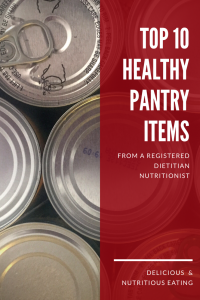 In order to at least mostly avoid this problem I compiled a list of healthy pantry items that last a long time and can help you maintain a healthy diet until you are able to get to the store again. These items are all things that I always try to keep in my pantry to keep me and my family on a healthy track. 1. Whole grains such as quinoa, brown rice and whole grain pasta – Full of fiber and essential B vitamins these whole grains are perfect with dinner. 2. 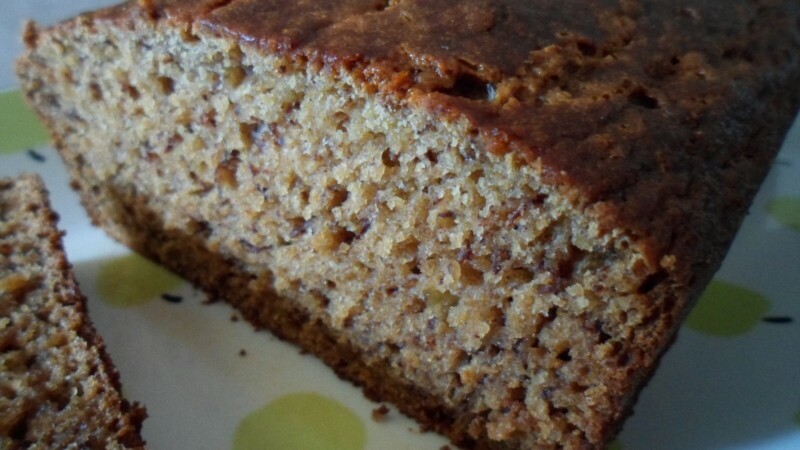 Fruit and Nut Bars – Great for grabbing on the go when you are running late. I like both Kind Bars and Larabars because they are made with whole ingredients such as fruits and nuts. 3. Tomato Sauce – I like to make my own vegetable mixture to top pasta but if you are out of fresh veggies, canned tomato sauce can work just fine. Try to choose a kind without added sugar and less than 400mg of sodium per serving (the lower the better). 4. 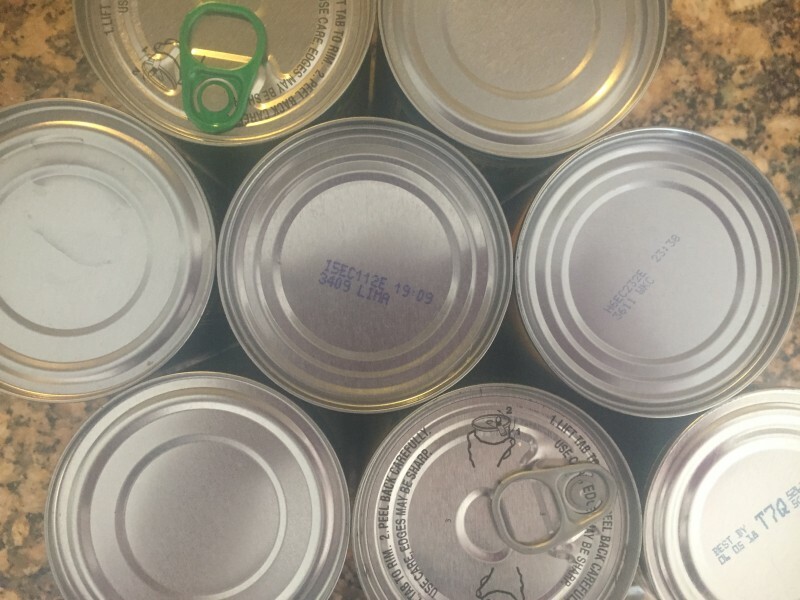 Reduced Sodium Canned Beans – I like to keep multiple types on hand. Perfect for a quick and easy chili or to make rice and beans. 5. Oatmeal – A whole grain that is perfect for breakfast or you can also have as a snack or mini-meal. 6. No Salt Added Canned Vegetables (such as tomatoes or corn) – Goes great in chili! 8. Canned Fruit or Fruit Cups Packed in Juice (not syrup) – When you run out of fresh fruit you can use fruit cups to pack in lunches and canned fruit for recipes or snacks. 9. Almond Milk – I normally drink skim cows milk but I like to use almond milk sometimes for different recipes to add some flavor. Also, it is good to have if you run out of regular milk or it expires as it is shelf stable until opened. 10. Chicken or Vegetable Broth (reduced sodium or no salt added of course) – You can use these to make a quick and easy soup or add flavor to a stew or chili. Hope you liked my list! Comment if you have any other great healthy items that you like to always have in your pantry! 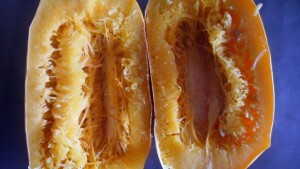 Spaghetti squash is one of those unique vegetables that you can easily transform into a pasta without the use of a spiralizer. With spiralizers being a food trend now (I see zoodle recipes and pins everywhere), you can turn almost any veggie into a pasta. 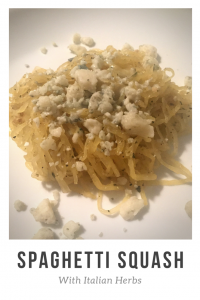 But today we are going old school and using spaghetti squash and a fork to make a veggie noodle “pasta.” So if you didn’t get on the spiralizer band wagon, don’t worry….there is no need with this healthy recipe. 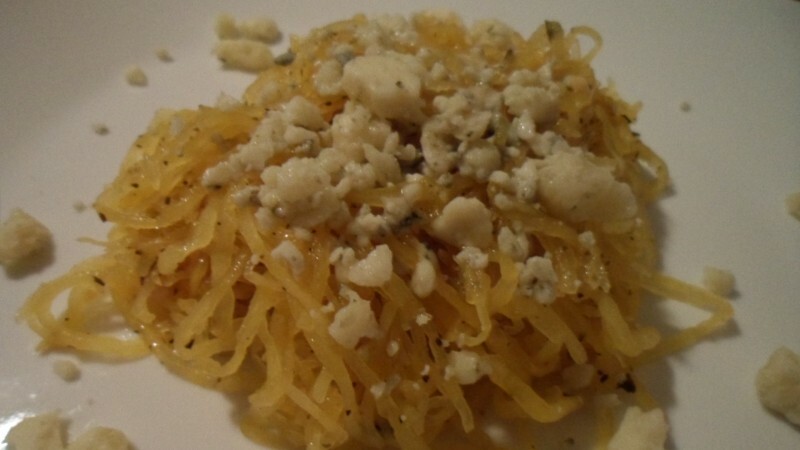 Spaghetti Squash is a winter squash that is low in calories and fat and contains vitamins and minerals such as potassium, vitamin A,vitamin C, vitamin B6, and fiber.It can definitely help you cut calories and lose weight when you use it in place of pasta. For comparison, 1 cup of cooked spaghetti squash has 42 calories and 1 cup of cooked whole grain spaghetti ranges from 180-200 calories. Even if you aren’t trying to lose weight, adding more veggies in your diet is always good for your health! ****Recommendation: Cooking the squash in the oven does take some time so you can do this the night before or pop it in as soon as you get home from work and get in a work out during the cook time. Alternatively, the microwave is another faster option for cooking. I hate wasting food and 3 bananas have been sitting in my fruit basket, getting browner and browner every day…. Instead of throwing them out, I decided to make some banana bread. When looking for a good recipe I noticed that a lot of them contained white refined flour, lots of sugar and butter or oil. 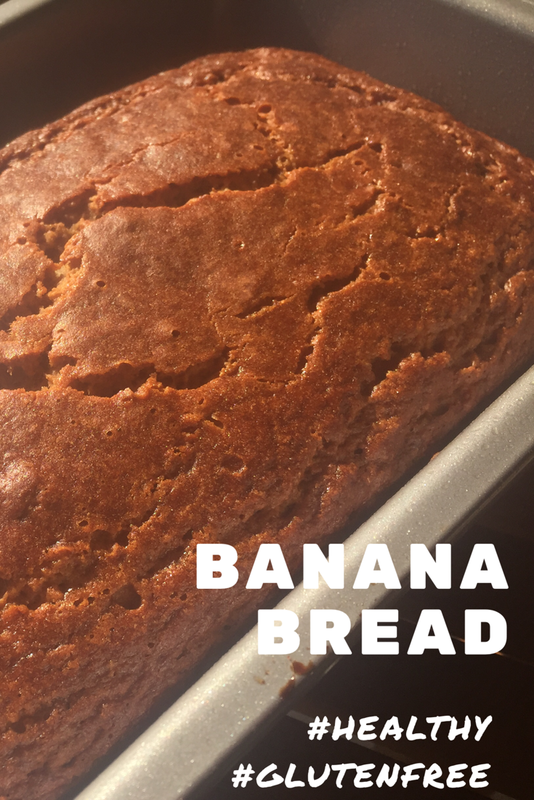 So I made some simple substitutions to make a healthier banana bread that I could enjoy without too much guilt. First, I used a gluten free all purpose flour to replace the white flour. But….just because a product is gluten free it does not mean it is healthy! There are a lot of gluten free flours made with mostly refined white rice flour which lacks nutrients, just like regular all purpose flour, so you have to be careful which kind you select. I like Bob’s Red Mill Gluten Free All Purpose Baking Flour because its main ingredient is garbanzo bean flour. This adds some fiber goodness and other nutrients to the flour mix. Another easy substitution I used was applesauce for oil or melted butter. 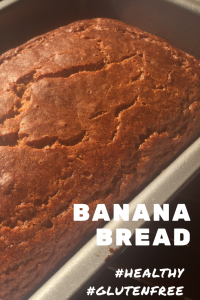 This decreases calories and fat and adds natural sugar so I am able to decrease the amount of added sugar I use without compromising the taste of the banana bread. Overall, I was pleased with how well my healthy substitutions worked out and how easy this recipe was to make. I hope you enjoy it! Preheat oven to 350 degrees. Spray 9×5 inch loaf pan with cooking spray and set aside. Mash the bananas in a large mixing bowl with a fork until fairly smooth. Stir in applesauce and then add and mix in remaining ingredients, adding flour last. Pour batter into loaf pan and cook in oven for 60 min. Allow to cool and serve.